3 digit, 7 segment LED display, True RMS measurement,1 phase 2 wire electrical network . Features & Specifications :Supply Voltage : 240/110VACDisplay Type : 7 segment LEDDisplay Config.. Features & Specifications :3 digit, 7 segment LED display, True RMS measurement, 1 phase 2 wire ..
Microcontroller based multifunction A/C Energy Meter.Accuracy Class1.0 / (Class 0.5 calibration on R.. Mainly used for measuring rated flow of liquid and gases.Available in C.S, SS-304, SS-316 Poly Prope.. Features :Bright seven segment LED display for better readability.Auto decimal shifting for Current .. 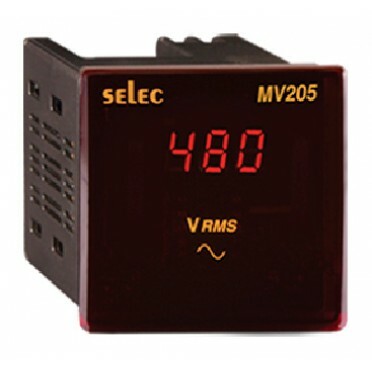 Features :Single Phase Amp+Volt Meter AV-33Display : Single display, Volt - 7 segment, 3..